Adam Schneider is a sound designer, composer, and producer based outside of Boston, Massachusetts. For the last decade he’s been creating sounds and music for video game and musical instrument companies, and has worked on brands that include XCOM, Skylanders, Marvel, Transformers, Akai, Alesis, and SONiVOX. Adam also creates energetic genre-bending industrial music in the electronic rock duo Big Time Kill. Recent works of Adam’s include being the lead composer on the synthesizer heavy XCOM Legacy Soundtrack for the game XCOM 2: War of the Chosen – Tactical Legacy Pack and releasing Big Time Kill’s debut album Shock and Awe. Some musicians have a “eureka” moment where they realize “This is what I need to be doing.” Do you recall anything like that for you? Tell us about your first synth! Do you usually design your own sounds? If so, do you have a process? “When I first started creating electronic music I would always design my own sounds since I strongly believed that would give me my own unique sound. I still design a lot of my own sounds, but I also use other people’s presets and sounds that I modify for my needs. Working for music companies and having to design a lot of presets gave me a newfound appreciation for using other people’s sounds. There’s an art to good preset design, and they have a purpose and place in composing. Some producers view using other people’s presets as “cheating”, which I think is just silly and elitist. What kind of things get you excited about an instrument? When you get a musical idea how do you go about developing it? Do you have certain musical ideals? Certain things that you strive for? Are you happier in the studio or on stage? What kinds of things inspire you — musically or otherwise. Has it changed over time? Do you have a musical bucket list? What made you choose the Tempest? “When designing sounds on the Tempest, think about layering and using more than one pad to create a single sound. You use up more voices, but your sound design capabilities suddenly go much deeper. An extreme example of that is I’ve used all 6 voices to create a single snare or kick drum sound, which I end up sampling and using later. That’s not a technique you’d probably want to do as much when using the Tempest live, but in the studio it makes the Tempest a goldmine of finding interesting new sounds you can record. 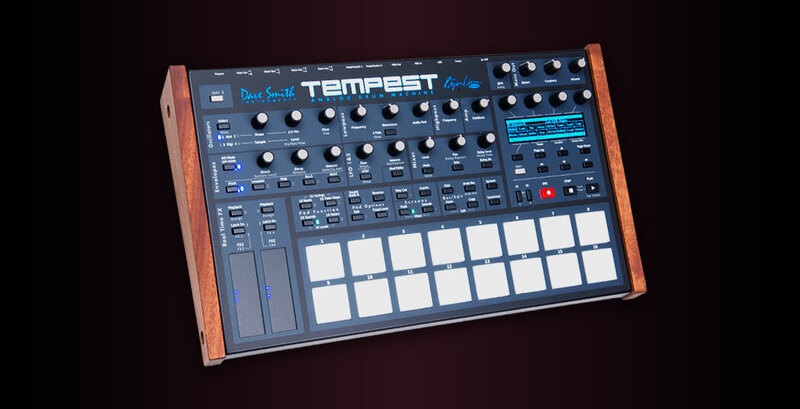 For more information, check out the Tempest product page.